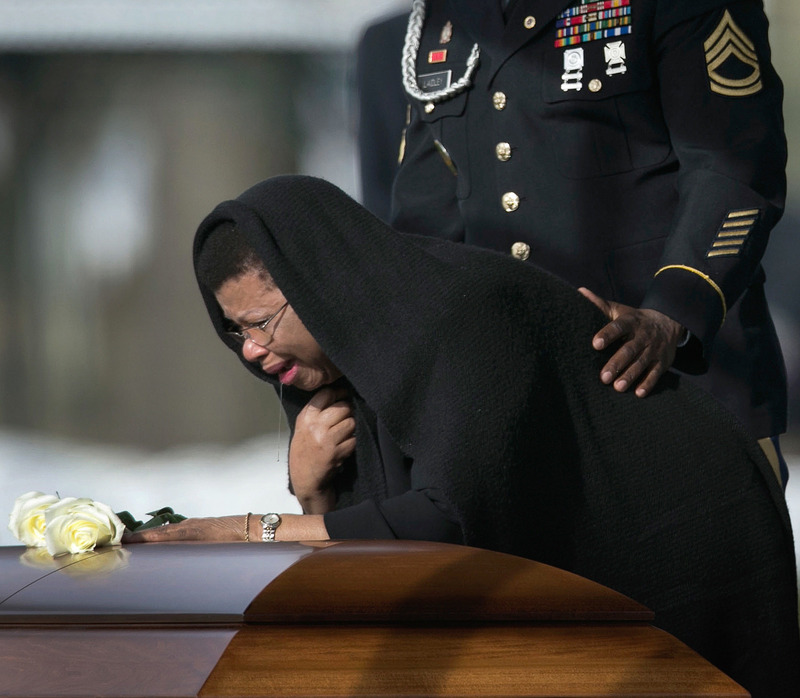 Lisa Laidley places a rose on the casket of her son, U.S. Army Sergeant First Class Ramon Morris, during his burial service at Arlington National Cemetery on January 23, 2015. Morris died on December 12, 2014 from injuries caused by an improvised explosive device in Afghanistan. By Win McNamee/Getty Images. Next Next post: Are Open Borders In Our Future?